Ultram addiction treatment includes physical and psychological therapies which need to be carefully monitored by medical professionals. 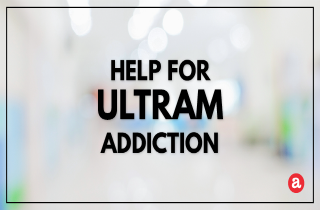 More about the available treatment options and resources for Ultram addiction help here. Ultram (main ingredient tramadol) is classified as a Schedule IV drug under the Controlled Substances Act. This official status assigns Ultram as a drug with low potential for abuse and low risk for forming dependence. However, by underestimating it’s addictive abilities, many users have become addicted. So, what do you do if you find yourself hooked on this form of tramadol? Are you facing difficulties with Ultram? Need information on how to deal with it? Don’t worry! There is way to help yourself, an addicted friend, or a loved one. In this article, we discuss what Ultram addiction treatment looks like and what you can do about it. All of your questions are welcomed at the end. In fact, we try to answer legitimate questions about Ultram problems with a PERSONAL and PROMPT reply. According to the National Institute on Drug Abuse, addiction can be defined as a combination of chemical dependency and the uncontrollable urge to consume a specific substance. CHEMICAL DEPENDENCY – A person who is addicted to Ultram can physically feel as if s/he cannot function normally without using it continuously. This physical need for Ultram is a hallmark sign of physical dependence. Ultram dependence is clinically recognized by the occurrence of withdrawal symptoms. In fact, you can test for dependence by missing a dose of Ultram. Symptoms like sweating, tremors, or nausea are the first sign that a person has become chemically dependent. How do you help treat addiction to Ultram? Treatment for Ultram addiction follows a usual protocol consisting of three (3) main phases: Addressing withdrawal in the user, physically stabilizing the user, and addressing the behavior and thoughts that drive it. After taking Ultram regularly for a few weeks or more, users develop a tolerance to the main ingredient, tramadal. After regular use, the brain adapts to the constant presence of Ultram. When the drug is suddenly stopped, the person experiences withdrawal symptoms, which can take a few days to resolve. Knowing this, it is highly advised to go through Ultram detox under medical care instead of doing it by yourself. Protracted withdrawal symptoms (PAWS) may come as a result of prolonged Ultram use. These symptoms include depression or mood disorders. After the acute withdrawal stage, chronic Ultram users might experience insomnia, anxiety, or depression which are usually regulated with prescription medications. Most people who are having problems with Ultram seek professional help after several failed attempts to quit on their own. But you don’t have to be at the end of our rope to ask for help! Treatment works and you can get the help you need at any time. 1. If you suspect your friend or loved one has developed an Ultram addiction one way to help them is by offering support and willingness to be a part of their recovery journey. 2. Another important step you should take is educating yourself about Ultram addiction and ways to treat it. Gathering information can help you learn how to approach your friend or loved one and offer him/her treatment alternatives. 3. If you want to help an Ultram addicted friend or family member who is in denial of the problem, you might want to consider staging an intervention. You can gather a group of people who want to help and along with the help of an addictions counselor, social worker, psychologist, or interventionist you can organize an effective intervention. Interventions aim to suggest the best approach, provide guidance for choosing the most appropriate type of treatment, and create follow-up plans. 4. Support groups such as SMART Recovery or 12 step groups like N.A. (Narcotics Anonymous) or Al-Anon can also help. As a participant in these groups, addicts and their loved ones have the opportunity to meet others who are struggling with substance abuse. Listening and sharing stories might help your loved one get their own lives back on track. Still have question about Ultram addiction help? Please share your questions and experiences in the comments section below. We try to answer all legitimate inquiries personally and promptly. NCBI: Acute abstinence syndrome following abrupt cessation of long-term use of tramadol (Ultram): a case study. NCBI: Physical dependence on Ultram (tramadol hydrochloride): both opioid-like and atypical withdrawal symptoms occur.